I would say you are correct; Lepista nuda (they do sometimes appear in grassland). 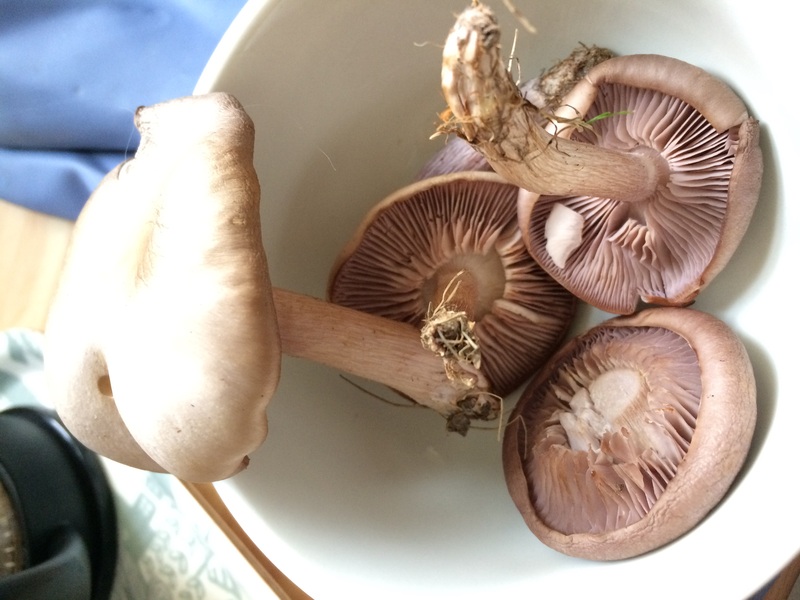 I agree they look like Wood Blewits. Well into December now, we are having quite a glut of this species in our area (Mid Sussex): we escaped the recent snowfalls but there have been some hard frosts. They don't seem to mind, they pop up anyway! If you are *absolutely sure* of ID, they are good to eat - although the ones we picked yesterday (over a Kg) were a little bit soggy from the frosts. In the end I made the remainder into a pat� and it tastes great. But if you're not sure: DON'T EAT!